Need to sell your house fast in Washington? We’d like to make you a fair, all-cash offer TODAY. And we’ll even GUARANTEE that offer and can have a check in your hand in as little as 2 weeks. Basically, if you have a property and need to sell it… we’d like to make you a fair cash offer and close on it when you’re ready. What are you waiting for? Give us a call at (202) 503-2783 ! Dependable Homebuyers works differently. We will provide you a fair all-cash offer on your house within 24 hours of submitting the short property info form below and can close when you’re ready to close. If the house is in terrible shape and you don’t want to (or can’t) fix it up… NO problem , we’ll deal with it for you. If you need to get something done quickly, we can close in as little as 2 weeks because we buy houses in Washington with cash and don’t have to rely on traditional bank financing. Do I need to make any repairs to my Washington home? Let’s face it, houses are expensive . Over the years they require more and more money until they become a money pit. Renovating a property in Washington can take months and cost you thousands and thousands of dollars! If your property is in Washington, the right choice may be to sell your home fast to someone like Dependable Homebuyers. We’ll buy your house “as-is” and you won’t have to make any repairs! When you list with a Washington real estate agent it typically takes anywhere between 3-12 months to sell a house. This can vary based on the time of year, competitiveness of the market, and the desirability of your home. During this time you will have buyers touring your Washington home and you’ll need to make sure that your home is continuously cleaned and organized. After receiving the contract you’ll have 45 days in which the buyers will conduct inspections, appraisals and go through underwriting for their loan. If for any reasons the buyers decide to back out then you’ll be back at square one, having to relist and find a new buyer. Selling your Washington property while you have a mortgage is quite common. Having a mortgage simply means that you still owe money to your lender. When you sell your Washington home the proceeds will be used to pay off your mortgage and the rest goes into your pocket. Selling your Washington property is still possible, even if you owe more to the bank than it is worth. Sometimes we will purchase your home directly while other times we may recommend a short sale. A short sale is where you negotiate with the lender to accept a lower amount than what is owed. Give us a call at (202) 503-2783 and would be happy to explain the process. If you decide to work with us then we would guide you through the entire process so that the sale of your home is handled smoothly and professionally. Most Washington sellers want to know who is going to pay the transaction (also called “closing”) costs? Even if there are are no real estate agents involved in the sale, there are other costs that simply can’t be avoided. These costs include title company fees, Washington transfer and recordation taxes, title Insurance, survey fees, and so on. When you are behind on payments your lender will notify you that you are in default and create a lien against your Washington home. 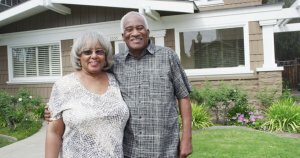 At this point you have a limited time to sell your Washington house before it is taken away and you lose everything. But don’t worry, you have options. A local home buying company like Dependable Homebuyers can purchase your home in as little as 7 days so that you stop racking up the late fees and get to walk away with as much money as possible. An “as is” home sale is where the Washington homeowner does not make any repairs to his or her property when selling. The person or company buying the property accepts the “as is” condition of the property. No inspections are conducted and any issues are inherited by the buyer. Dependable Homebuyers purchases homes in Washington AS IS, no matter the condition. Leaking roof or flooded basement? Doesn’t matter. We’ll buy your house “as is” with no repairs necessary. Not only can you sell a house without a real estate agent, you should! Washington real estate agents are expensive and typically cost you 6% of the sale price in a commission. You’d think for this price they’d guarantee a sale, but they can only promise to try their best. Instead of contacting a Realtor you should consider contacting a home buying company instead. Companies like Dependable Homebuyers can guarantee the sale of your home because they’re the ones who will be buying it. No only are you guaranteed a sale, but you also don’t pay any real estate commissions!